The dominoes are falling neatly into place for those with a stake in the medical cannabis space. With Australia now falling into line with much of the Western world in green-lighting the legal sale of marijuana products for medical use in Australia, whole new markets have opened up for those with commercial products. 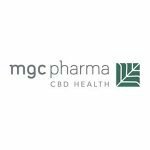 For MGC Pharmaceutical (ASX: MXC), this move by the Australian government opens up several commercial channels with regard to its medical cannabis and cosmetics plays. Should it reach its milestone of obtaining an Australian Medical Cannabis licence, we could see MXC products on local shelves very soon. MXC’s move into the Australian commercial market has been enhanced considerably after the company completed the acquisition of Panax Pharma earlier this month. The acquisition immediately enables MXC to conduct medical breeding research starting in a 1000m 2 dedicated greenhouse growing space, with the ability to scale further. It also means MXC is now on the fast track to commercialisation in the medical cannabis sector from its European operating base, and in Australia. With a cannabinoid extraction facility nearing completion, MXC remains on track to commence first production next quarter. With plans to sell high-margin cannabinoids in resin form, MXC is well positioned to capture a good slice of this growing medical cannabis market.